Boating can be a rewarding, exhilarating sport. But it also can be dangerous. Boating isn’t exactly an extreme sport like skydiving or mountain climbing. But even more surprising is that a significant portion of boating injuries are due to negligence. Boat operators can be careless or reckless, they can run their boats at excessive speed, or have no proper lookout. All of these have been contributing factors in boating accidents. Alcohol use is also a problem, accounting for nearly 20 percent of all reported fatalities. When accidents are the result of someone else’s negligence, they can lead to viable legal claims. A boat operator who negligently hits another boat, for example, may be liable for the damage caused to individuals and property. 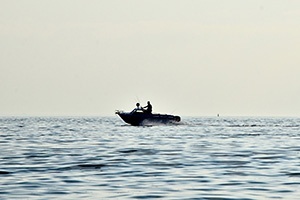 Boating accidents can cause severe harm and disrupt lives. But in many cases, those affected do have recourse in the law. The first step is to partner with an experienced trial lawyer – one who can navigate the murky waters of the court system, with skillful, aggressive advocacy. For four decades, Babbitt & Johnson P.A. has been representing victims and their families in all manner of personal injury cases. We have handled multiple watercraft accident cases – and have recovered significant awards for our clients. We want to help you take an even bigger step – and recover what you deserve. Which are the most common types of boats involved in accidents? In almost half of all boating accidents (45 percent), open motorboats are involved. This is followed by personal watercraft (24%) and cabin motorboats (14%). To prevent a fatality, what should a boater wear? Of all boating accident victims who drowned in 2006, a staggering 90 percent were not wearing a life jacket. The rule is simple – and urgent: A boater needs to wear a life jacket whenever he or she is on the open water. If you or a family member has been injured in a boating accident or watercraft accident, contact our accident attorneys for a free evaluation and consultation.